I received some of the shared product for an honest review. This post contains affiliate links (with a purchase a small commission can be made to help keep this blog going). As always, all thoughts and opinions are 100% my own. Of course Izzy will be getting candy on Easter. She will have a trail of jelly beans from her bedroom down the stairs and to her basket in the living room, just like I did. Last year she was only a year only so we did an egg trail for her. I’m pretty excited about seeing her face once she reaches her basket! So what things will be going inside and around her basket at the end of the trail that aren’t candy? 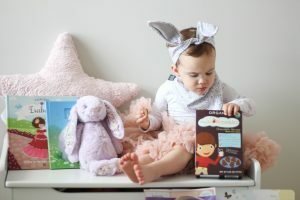 I snagged some Easter books from my grocery store and special ordered personalized books from i See Me. Every year my mom got me a stuffed bunny for my basket! I’d like to continue that with Izzy. 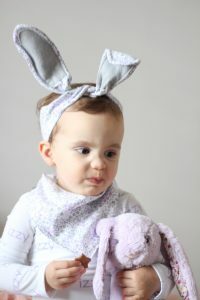 Peek A Whoo has the super soft and adorable Jelly Cat bunnies and they personalize the ears with monogramming. Use code BUSY20 for 20% off. 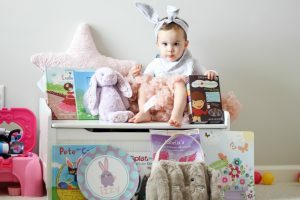 Have a baby who needs a lovie? 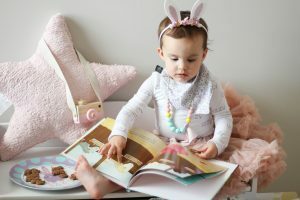 Balboa baby has adorable bunny blankets that are perfect for their first Easter basket. If you are looking for a gift for yourself.. they also have baby wearing slings & nursing covers. 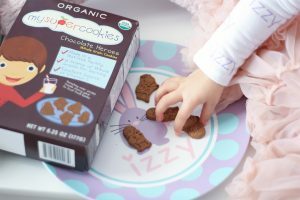 For Easter Izzy should have a fun plate. Let’s be honest Arla Creations makes such cute stuff that the plate will most likely be used year round! 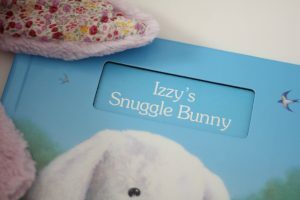 Raise you hand if you love personalized things! Okay so one pair before and one in the basket, because she needs to wear ears while collecting her jelly bean trail.. right? 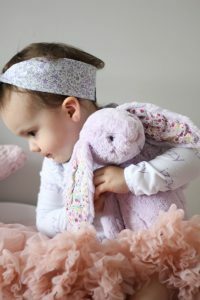 Grantley Design makes gorgeous seasonal headbands and more. 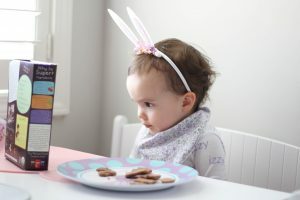 During the holidays we had the antler headband and so we for sure needed the bunny one this spring! 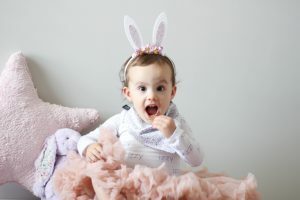 Juvibaby co is the next shop on my list for bunny ears. They make a super unique style of ears. They tie on like a headband wrap and the ears have wire inside so you can bend them how you want. 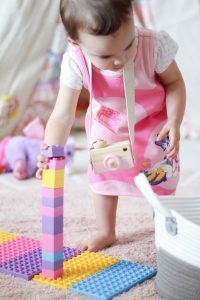 Looking for blocks? 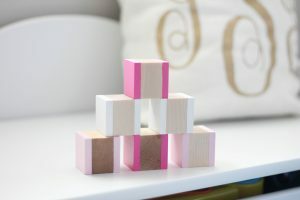 Strictly Briks is perfect for the ages 2 and up and I think Legacy Learning Academy wooden blocks are great for 10 months+. 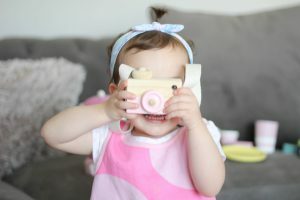 Izzy’s wooden camera from Olive and Papaya is so darling and she LOVES pretending to take pictures like mommy. So that’s my round up! I hope you found some awesome goodies! Hurry and order some of the special items are only around seasonally. Previous Post Sneaking in Veggies with… Muffins? Love all your ideas! 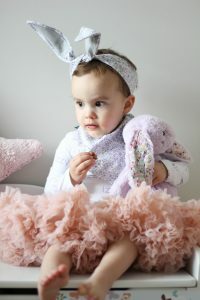 That bunny is so cute! 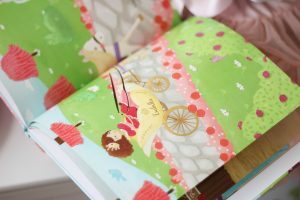 You always show the cutest products! Love these! These are such great non-candy ideas! I think I might use a few of these! Izzy is getting hooked up, I love it!! She has all the goodies! Omg yes! So adorable right? Such cute ideas!!! Love every single thing!